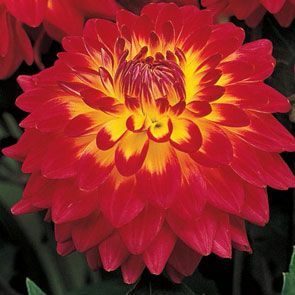 Exciting bicolour dahlias will light up your summer garden! 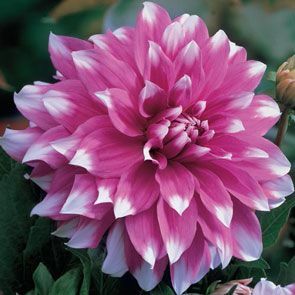 Celebrated for their impressive bloom sizes and vibrant colour palette, Dinnerplate Dahlias remind everyone how fun and rewarding gardening can be! So when we came across these five exceptional bicolour varieties, we knew we had to secure a supply for our discerning dahlia customers. Make this collection a solo act, or pair it with our Classic Dinnerplate Dahlia Collection to create an unrivaled showpiece dahlia display! 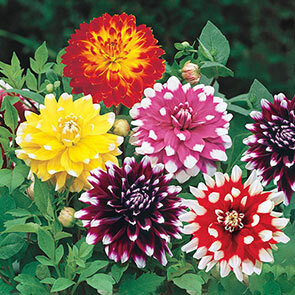 Create more dahlia diversity with these breathtaking bicolour blooms! Imagine your borders and bouquets practically glowing with huge 6½-9" blooms—some with bright white tips on bold solids and one with fire red tips backlit by golden yellow. These daring dahlias are so unique and eye-catching, they hardly look real! Dahlias may look fussy, but most gardeners find them easy to grow. 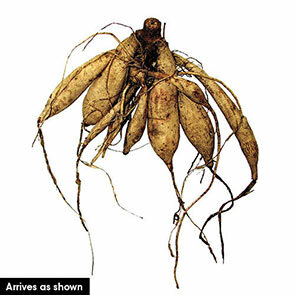 All they need is a sunny spot with well-drained soil and protection from strong winds. 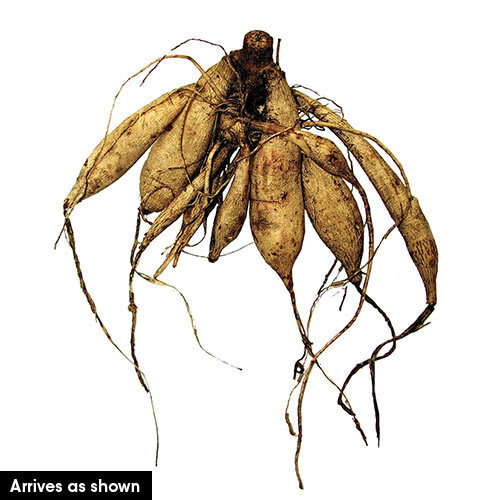 Then simply lift your dahlia clumps in the fall for winter storage. For the largest exhibition blooms possible, pinch the side shoots of your dahlias as they grow. This will allow the remaining flowers to receive more of the plant's food and energy. For slightly smaller blooms in higher numbers, leave the side shoots alone. One of the best things about dahlias is their extended blooming season—from early summer to well into fall! And once cut for a bouquet, each dahlia bloom can last 5-10 days in a vase! 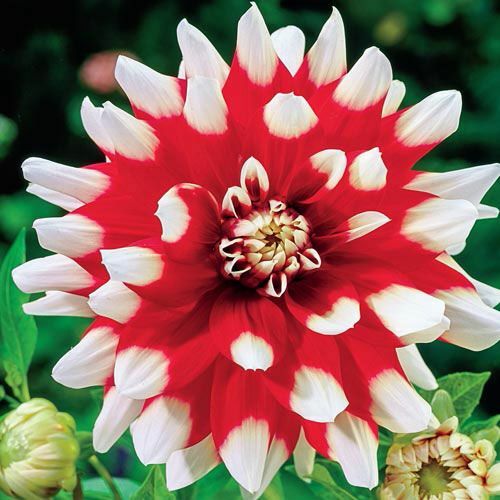 Duet Dinnerplate Dahlia: With its dramatic red-and-white colour contrast and huge 7–9" blooms, Duet makes a stunning statement in borders and is delightful in summer bouquets. Grows 30–36" tall. Seattle Dinnerplate Dahlia: Incredible, 7-9" golden-yellow blooms with contrasting white tips are more intense than sunshine. Dazzling Seattle grows 28-30" tall. 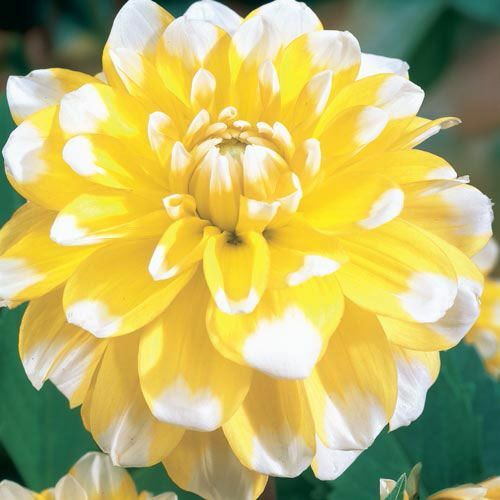 Jean Marie Dinnerplate Dahlia: This is the first dahlia of true dinnerplate size—7" across—with this unique colour combination. Revel in the brilliance of its deep pink petals with contrasting white tips. Grows 30–32" tall. 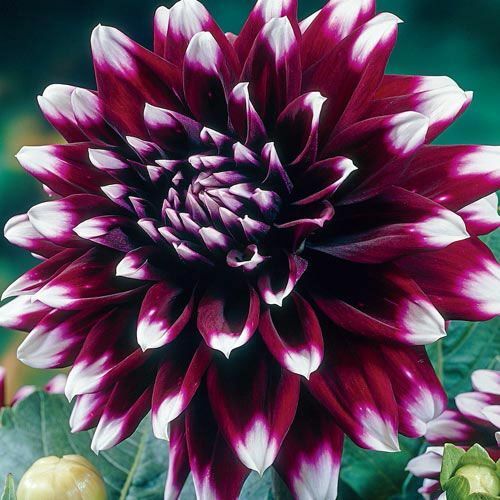 Mystery Day Dinnerplate Dahlia: Large, lively, purple-and-white blooms make a big impact in your garden. The 7" flowers are glorious all season long! Grows 42–44" tall. Procyon Dinnerplate Dahlia: A true standout, even in this collection, radiant red-and-gold Procyon appears to be lit from within! Bold, colourfast blooms 6½-7½" across won't fade in the summer sun. Grows 36-42" tall. Pruning Pinching of the secondary bud will produce larger flowers.